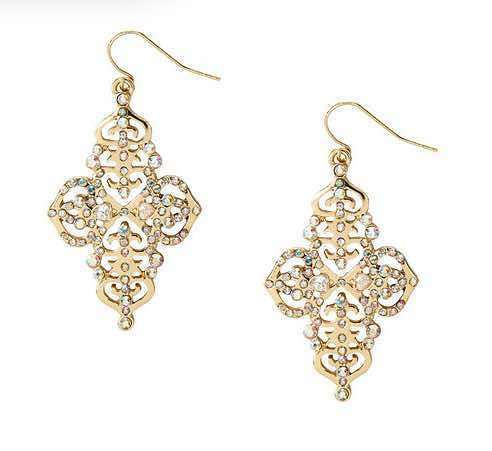 Katy Perry Aurora Borealis Crystal Gold Filigree Drop Earrings Only $4! You are here: Home / Great Deals / Katy Perry Aurora Borealis Crystal Gold Filigree Drop Earrings Only $4! Originally $12 these Drop Earrings are on sale for $5 AND there is a 20% off the entire site, so they are now only $4. What a great deal! The Katy Perry Aurora Borealis Crystal Gold Filigree Drop Earrings for Only $4 are available in both gold and silver finish!